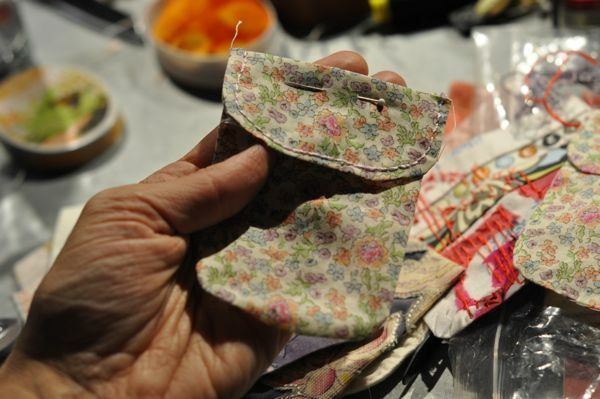 Previous Post: « Breast Pockets-with deadline! 1000 pockets in 3 weeks? The breast pocket/flap assembly line is in full swing here. 😉 What is sad is that the more I think about it, the more people I remember had breast cancer. Back in the day when my MIL and Aunt were treated, no one talked about it except in hushed tones. I am so glad there is an open discussion today. Women (and men) need to support each other. Have a happy! I’m planning on making some. I’m in Hong Kong at the moment & don’t have access to my sewing supplies. I’m assuming we can make as many as we can think of for people who have had breast cancer. Like Jeannie, the more I think about it, the more people I remembered who have struggled with this issue – some who have survived & others who unfortunately haven’t. Melanie, I would like to make some breast pockets for you. I am in Australia, though. Postage may take a few weeks, is that ok? I have my quilt group tomorrow and might be able to interest others as well. I do not know anyone who has had breast cancer, however, my gran died of it many years ago, so it is something in my heart. Count me in for a few, remembering family and friends who fought the fight.